What does it take to be one of the best wedding photographers in Orange County? It takes dedication, hard work and a relentless pursuit of creating ever-better images for your clients. 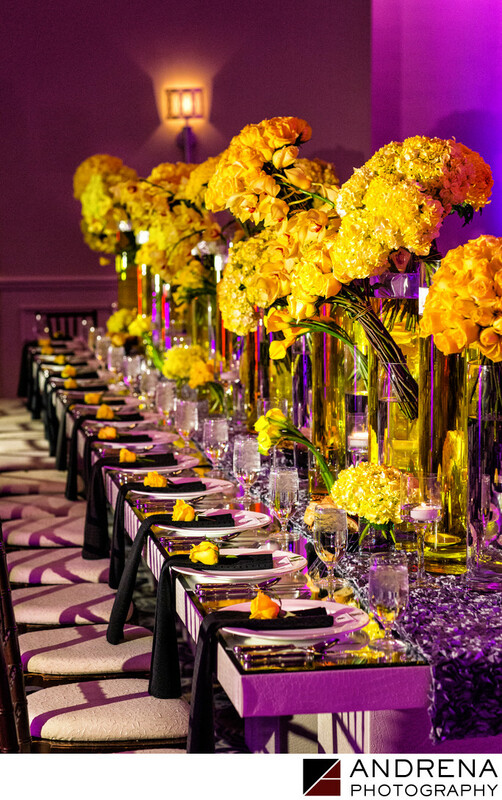 This stunning yellow floral display was showcased beautifully against the purple uplighting that this Jewish bride chose for her Ritz-Carlton Laguna Niguel wedding. The mirrored tabletops were stunning beautiful, and the reflections added a unique dimension of sparkle and light to the reception. Guests were truly dazzled by the interplay between the colors, and this decor has now been showcased in several magazines.